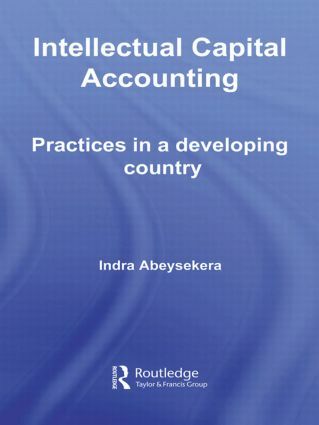 This book examines and explains the intellectual capital reporting practices, with a human capital focus, of firms located in the developing nation of Sri Lanka. The study ascertains the following: first, to what extent the industry groups, based on the number of shareholders, differ in their ICR practices; and second, to what extent firms in Sri Lanka differ from counterparts in other nations in their intellectual capital reporting practices. An important aspect of this book is looking at the practices from a critical perspective to providing a more balanced view of 'good' and 'bad' effects of intellectual capital. The book meticulously outlines an extensive literature review, research methods, the theoretical perspective, findings with an engaging discussion, and concluding remarks. Indra Abeysekera's fine research project is an impressive contribution to an emerging area of interest throughout academia and industry.